Rabbi Samson Raphael Hirsch (1808 – 1888; Frankfurt, Germany), explains that as we know, matzah is bread that is made from dough that was not given time to rise. 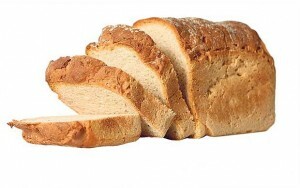 This type of bread would generally be eaten by one who is pressed for time. As a matter of fact, the Talmud nicknames matzah, lechem oni – poor man’s bread. A poor man is always in a flurry trying to survive and therefore has no time to allow his dough to rise. Throughout our slavery in Egypt, our Egyptian masters did not allow us the time needed for our dough to rise. Hence, we usually ended up eating matzah. Upon our long awaited departure from Egypt, we still ate matzah, as the Egyptians were driving us out, again not giving our dough time to rise. 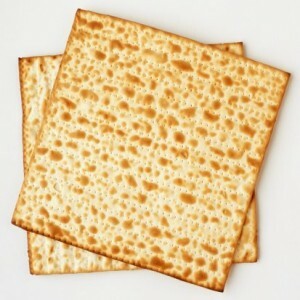 Matzah, therefore, symbolizes servitude. Chametz, on the other hand, is the bread of one who is his own master. He can allot however much time he desires to make sure his bread rises appropriately. Chametz symbolizes independence. This explanation only causes the centrality of matzah on Passover to be even more puzzling. Why on the holiday celebrating our emancipation do we focus on the bread of servitude? Wouldn’t it have been more appropriate to eat chametz, symbolizing our freedom from slavery? And though we find symbols of slavery at the seder itself in the form of maror (and charoset), we don’t find any comparable exclusive focus on those symbols; there is no prohibition of eating other types of vegetables. Rabbi Hirsch explains that the message that the Torah is trying to teach us is that we did not gain freedom from the Egyptians through our own strength and abilities. Rather, God granted us our freedom, and His might is what forced the Egyptians to finally let us go. Passover is not a celebration of independence; it is rather a celebration of the amazing opportunity presented to us to become servants of God. Therefore, specifically at this time when we are celebrating our emancipation from Egypt, we ensure that we don’t eat any chametz. By doing so, we are showing that we recognize God’s role in freeing us from Egypt and our subsequent servitude to Him. Independence is not a goal in Judaism. Independence from foreign gods, ideas, and movements with the goal of focusing on our relationship with God and His people is what we strive for. This is different than the understanding of most other Torah commentators, who explain that the Jews left in such a hurry by choice.